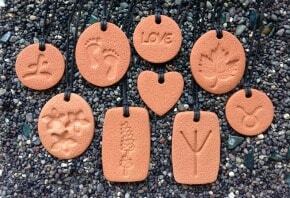 Terra Cotta Pendants offer essential oil users a simple and inexpensive method of diffusing essential oils daily! See testimonials from customers and retailers here! Bracelet beads. See more Bonuses in the green box on this page! The wholesale discount is 50%. If you are an Independent Distributor of essential oils, a Retailer, or even a Generous Gift-giver who loves giving essential oils as gifts and wants to include a diffuser in the package, take advantage of this price break! Also make sure you check out the articles on Business Building and Marketing (you can access them all from the Home page too), and also the articles about Terra Cotta Pendants. These articles offer simple, valuable tips for using Terra Cotta Pendants to market essential oils!